The No. 1 reason kids play soccer is to have FUN. Winning doesn’t even make the Top 10. The No. 1 reason kids leave soccer is that the game is no longer fun. The No. 2 reason given was that adults over-emphasize winning. The pressure to achieve results robs our kids of their fun. Winning….? Definition No. 48 right next to Carpooling with teammates ... and Wearing a cool uniform… 90% of the kids interviewed agreed that “I want to win, but winning is not essential for me to enjoy my sports experience…” More than 70% of the kids involved in youth soccer at age 10 will quit the game before they are 13. Again, the overwhelming No. 1 reason they quit is because the game is no longer fun and adult behavior is the overwhelming cause. In Louisiana the peak year of participation in soccer is 9 years old. After that, kids start to leave. LSA is committed to reversing this trend, but cannot do it without fundamentally changing the soccer culture across the state. We must return the game to our kids and do whatever we can not to rob them of the opportunity to grow and learn the life lessons best taught through participation in sports. LSA is not alone in this crusade. There is a groundswell of organizations dedicated to returning the fun to the game and encouraging participation in soccer far past a child’s 9th birthday. 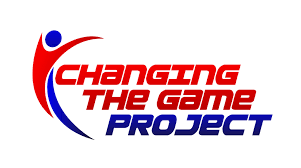 John O'Sullivan started the Changing the Game Project in 2012. He remembers when youth sports was about children competing with other children instead of adults competing with each other through their kids. He began working to reshape youth sports and inspire a major shift in culture. John is now an international speaker and national best-selling author of Changing the Game: The Parents Guide to Raising Happy, High Performing Athletes, and Giving Youth Sports Back to our Kids. Watch a video of John speaking at a TEDTalks event. the founder of the Institute for Soccer Parenting. Skye brings parents invaluable resources, ideas and perspectives in her quest to help convince parents that their role is to nurture the talent of their children in a positive and productive manner. Through a series of interviews with soccer professionals from across the country, Skye gives parents much needed guidance on the role in supporting their young athletes. Join LSA in our efforts to change the soccer culture in Louisiana. Help us return the game to the kids.